Purchase the long timber for the frame of the boatlift (4pcs 4.2m x 50mm x 100mm) from a local dealer and save shipping expenses! Length: 4.2m + 4.2m. 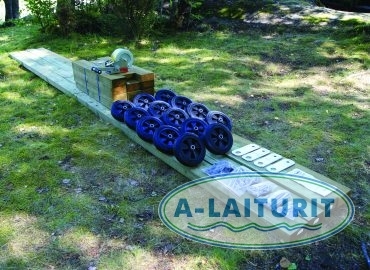 Intended for lifting boats weighing a maximum of 500kg from the water and for (winter) storage. 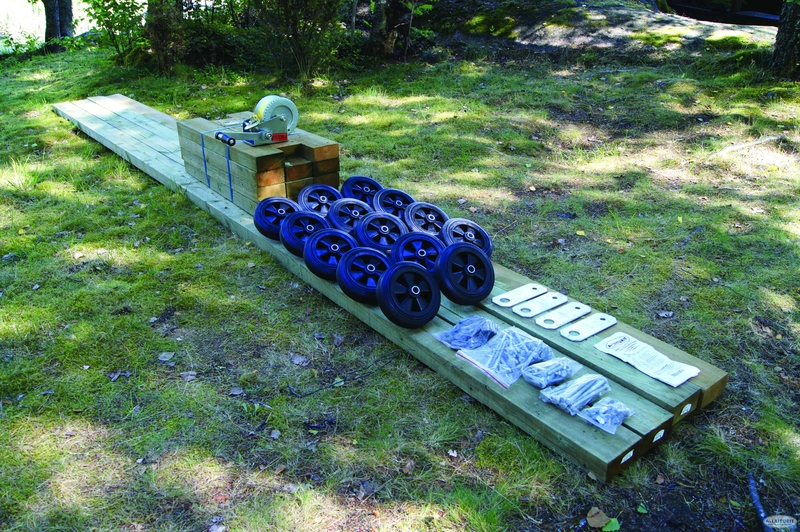 When additional wheels and a larger winch are installed, it can be used for heavier boats as well, supporting up to 900kg. The lift can be installed on nearly every type of shore. The boat can overwinter on the lift without trouble, as long as the extension is removed from the water. Always remember to take out the plug from the lifted boat.